I want to be Andrew Solomon when I grow up. Only briefer. And funny. In the absence of blood tests, people with depression have words. And Solomon has a lot of them. 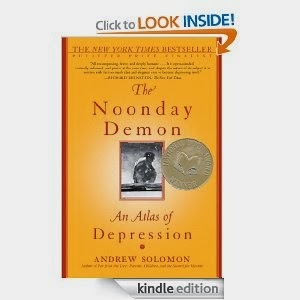 Solomon's book The Noonday Demon: An Atlas of Depression sits by my bedside. I'll get through it someday soon, because I want to tell potential publishers that Prozac Monologues is Noonday Demon, only briefer. And funny. Solomon went around the world to report how the world experiences depression. Yes, he found it everywhere. Last week when I told my doctor I was going to Costa Rica, he asked if I would feel better there. You know what? People in Costa Rica get depression, too. Hard to imagine, I know. But it's true. 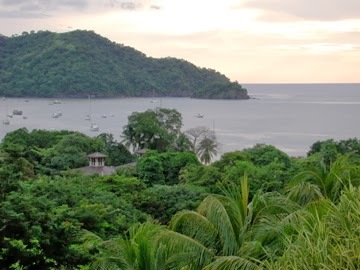 They have psych wards and therapists and ECT and everything in Costa Rica. I have a card for a psychiatrist in San Jose, just in case. But after all these years, I still can't imagine anyone believes me when I say that I have this illness. I can't believe it is real myself. I must be making it up. Words have power. And well-chosen words have the power to break through even that most terrifying part of depression, its isolation. Solomon's TED talk does that. It breaks through the isolation. Every person with this illness who listens to this talk says, Yes. That is it. He knows what I know. That's why writers on depression keep writing. We yell Marco! into the fog and wait for the answer, Polo! If we can find each other, the fog will hold a little less terror. Here's to a little less terror.